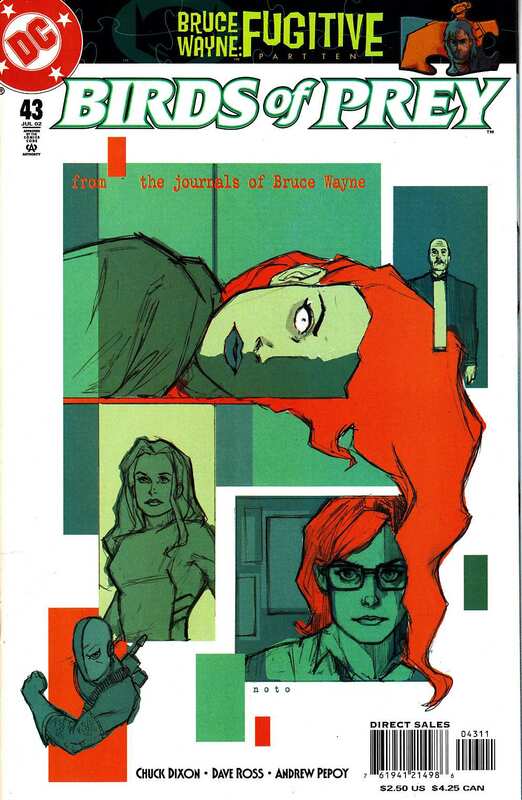 WRITTEN BY CHUCK DIXON; ART BY DAVE ROSS AND ANDREW PEPOY; COVER BY PHIL NOTO. "Bruce Wayne: Fugitive" Part 10! What is the mysterious connection between the final news story of Vesper Fairchild's career and the break- ins at Wayne Manor? Oracle must find the connection, but when Alfred comes forward with even more evidence, the pieces begin to fall into place. Meanwhile, Black Canary makes a final decision regarding Spoiler, and Deathstroke returns...which can only mean trouble.